Photo courtesy of Sarah Hochberg. I’m a third year student sitting in a first year 200-person English lecture, going over the definition of a thesis for what has to be the billionth time. Maybe it’s the boredom, maybe it’s that my professor’s accent makes him so easy to tune out, but instead of paying attention, I start questioning all of my life decisions. 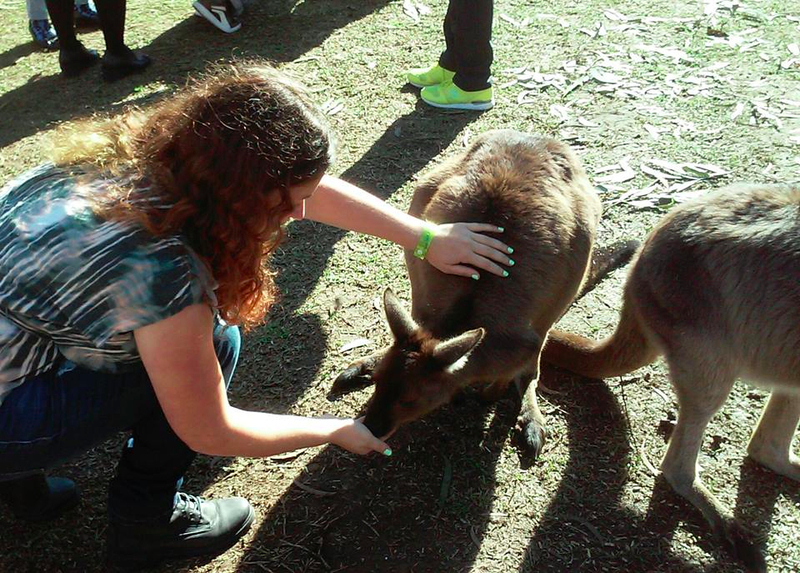 This semester, I’m studying abroad in Wollongong, Australia (it’s about an hour south of Sydney). And since everything is backwards here, I’ve been in school about a month while Goucher students are just starting to send me move-in snaps (we got a geo-filter!). In short, it’s been weird. Australia is beautiful, and I’m so glad I came here. The birds, the plants, the people and the vegemite are all amazing aspects of what I hope to be a formative period of my life. To be honest, when I started, I wasn’t that keen on being here. The concept of being away from my family and boyfriend for six months didn’t really sink in until I was already off the plane. I’ve never been this far from home, and flights across the Pacific are expensive. I couldn’t give up, go back home and try again later. I had never made a decision this permanent. But, that’s part of the reason I came here—to make new decisions, or at least prove to myself that I could. I realized I’m halfway through my Goucher college experience, but I couldn’t honestly say I felt I was growing or changing. I still felt just as scared of the “adult” world as I did graduating high school, and I’m a junior now. I needed some space to simultaneously run away from my real life and manage to come back ready to take it on. And my Australian life is definitely not part of my “real” life. I’m taking simple classes, and I have less responsibilities here. I surf and hike instead of studying, and my main focus is traveling and seeing as much of this beautiful planet as I can before I run out of money. There’s a freedom to do things here that I never would have had the time for back home. Weekend road trips and spring breaks in different countries. Hell, I’m going skydiving in the morning. I’m a different person here, and I want to keep being this new person. Australia is allowing me to grow. Studying abroad has been a way of hitting the reset button, and to see how I handle new and scary situations. And I’m so thankful I have this opportunity.